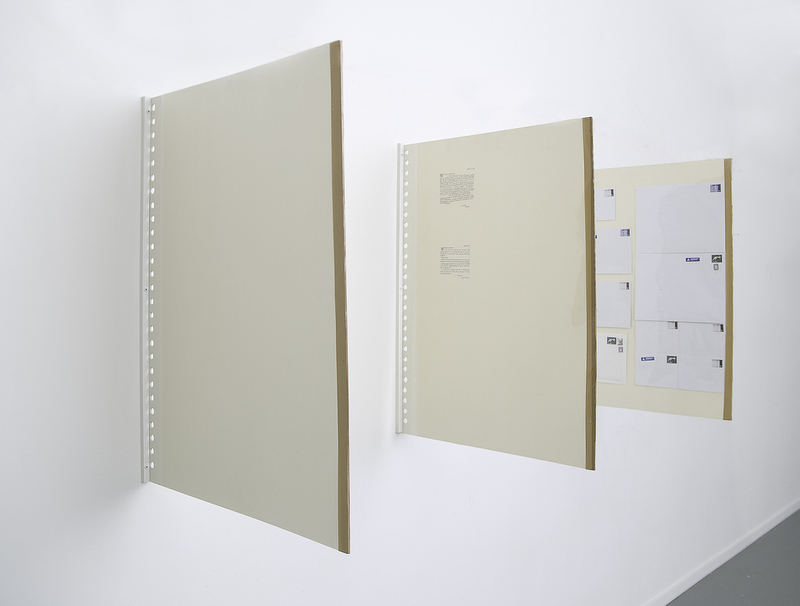 Two letters are used in the installation. 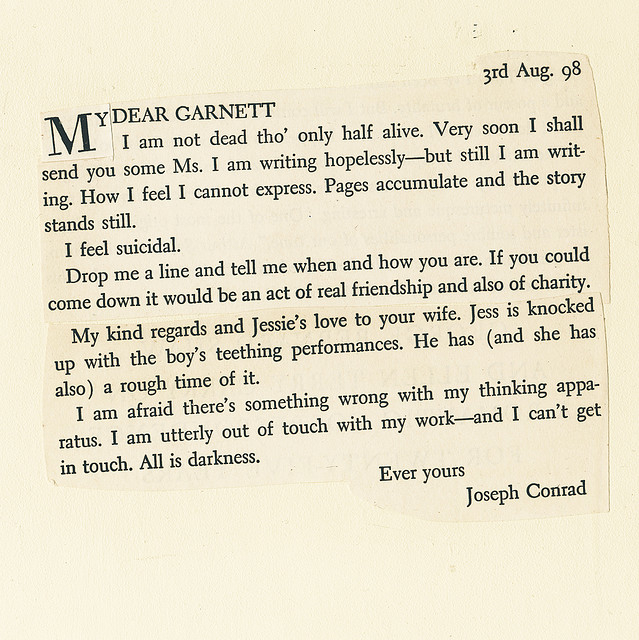 One by Joseph Conrad, written to his friend and publisher Edward Garnett. 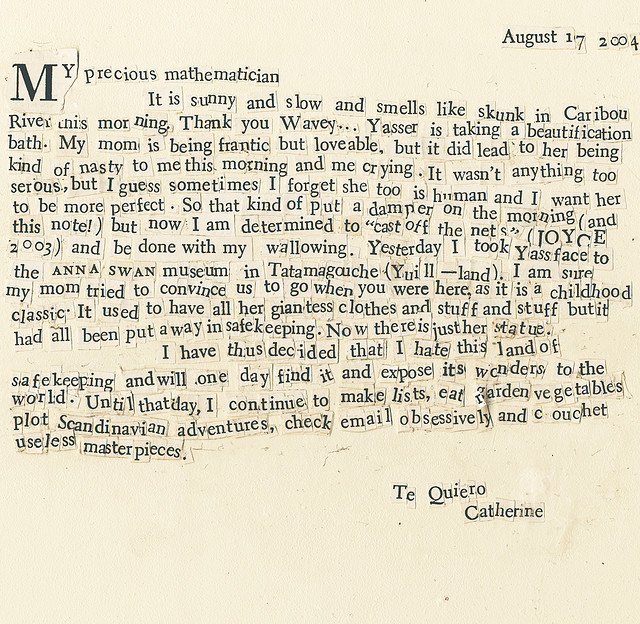 The second one is a letter that I’ve received from my friend Catherine Wilson. Both of the letters have been made by cutting in the book “The World’s Great Letters” (An anthology of letters, put together by M. Lincoln Schuster).